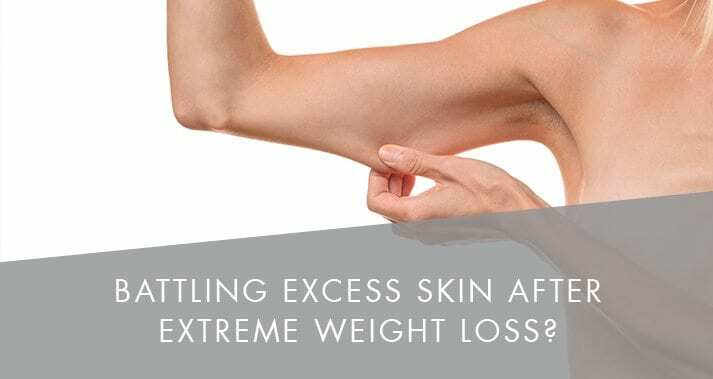 Battling Excess Skin After Extreme Weight Loss? 6th October 2017 | filed under Weight Loss. At The Aesthetic Skin Clinic, we get to work with some fantastic individuals. We’ve been thinking about the superwomen who achieve fantastic things that may make them want to undergo one of our procedures or treatments to feel more like themselves again. With the success of British TV personality, Lisa Riley, and her weight loss journey, the problem of excess skin after extreme weight loss has become more well-known. Lisa Riley is a British television presenter and actress who was best known for her role in Emmerdale. Lisa started her weight loss journey as a size 28 and has managed to lose an incredible 12 stone over 18 months. She achieved the dramatic weight loss through a strict diet and exercise regime, taking her down to a weight that she was happy with. However, despite all of her hard work, Lisa was left feeling unhappy with her reflection when looking in the mirror due to the excess skin that remained after her body had shrunk. This is a common issue that can affect those who lose a significant amount of weight, usually if they do it quickly. The skin is simply unable to shrink down as the person loses the weight. After being so dedicated to getting the body she wanted, Lisa made the decision to undergo surgery to remove the excess skin which had become uncomfortable and difficult to live with. During her surgery, more than a stone of skin was removed, leaving behind the figure that she has worked so hard to get. After a gruelling journey of weight loss, it can be particularly distressing for those individuals who find that they have loose, sagging skin left behind. In these cases, no amount of exercise or dieting will help to correct it, so surgery is needed. A tummy tuck can be carried out to remove excess skin, and there are three different types of this procedure: a standard procedure, a mini tuck, or a tummy tuck with floating umbilicus. The first step is a consultation with a member of our surgical team who will be able to advise on the right treatment. The surgery is a major procedure, so we ensure that you have all the facts before you choose to go ahead. During the procedure, the surgeon will make an incision across the lower tummy, before removing excess fat and skin. Depending on the type of procedure you have, it may be necessary to move the belly button. When the skin is pulled back together, it will create a feeling and look of firmness in the skin, giving the patient the silhouette that has been hidden under their excess skin. We know that women who achieve this level of weight loss have done something incredible, so these superwomen should be able to feel fantastic when they look in the mirror. This is why we offer cosmetic surgery in Guernsey, Jersey and Belfast including the tummy tuck and other procedures such as skin tightening and breast uplift. If you would like to speak a member of our team, please don’t hesitate to contact us and we will be more than happy to advise you further.